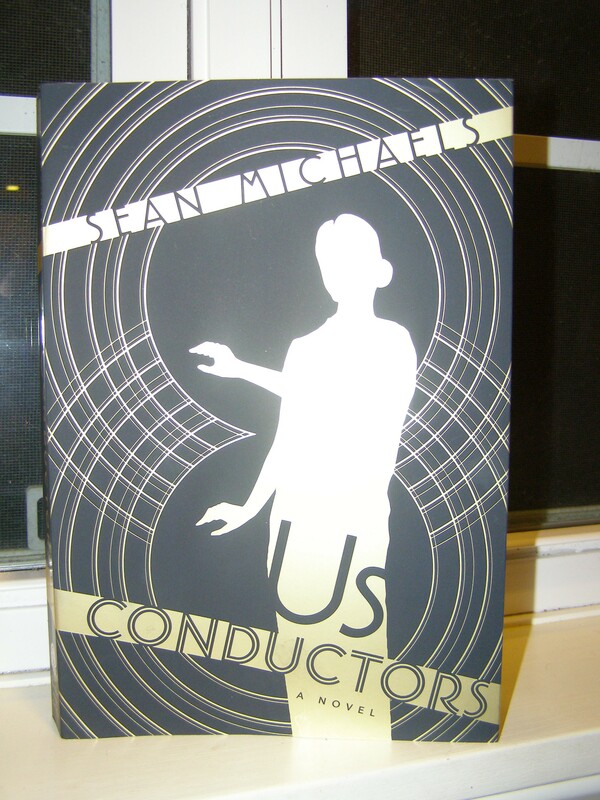 Us Conductors is the kind of book that could be recommended to just about anyone. It has everything you might want in a book; history, science, music, travel, espionage, murder, romance, and even Kung Fu. 1. Us Conductors is based on the real life of Lev Termen, inventor of the theremin. And, his life is so interesting that I can’t believe that I had never heard of him before now. What else am I missing? 2. The story is told through Lev himself, as a letter he is writing to the unrequited love of his life. His voice is compelling, and it is the perfect way to tell the story. I am an instrument. I am a sound being sounded, music being made, blood, salt and water being manipulated in air. I come from Leningrad. With my bare hands I have killed one man. I was born on August 15, 1896, and at that instant I became an object moving through space toward you. 3. You will learn a little about Russia. Lev’s life and story begins in Russia where he thrives as a scientist and inventor. He talks a little bit about his political beliefs and the leaders of Russia at the time. Later, we learn about Russian gulags and labour camps for scientists and political prisoners. 4. You can experience New York in the late 1920s and 30s. These are the years Lev lived and worked in New York. He continued to invent things as he became more and more involved in the music and social scenes of the city. 5. Espionage. Whether Lev likes it or not, he gets tangled up in some international espionage. As a scientist and inventor, he was valuable to Russian officials during WWII. 6. If you are a music lover, you will find a lot to love about this book. Because it is about the inventor of the theremin, there is a lot in here about the music world. Sean Michaels has been writing about music on his blog Said the Gramophone since 2003. Your right hand was a fist. You opened it one finger at a time, asking and withdrawing. The soloist must play in angles, edges, skirting old melodies. You did not close your eyes until the third section, as if suddenly the music was asking something else of you. Only your hands were in motion. In the heart of that hall, you were utterly solitary. I could not have given myself to you even if I had tried. 7. Science. Lev was a scientist, first and foremost. He was curious and loved nothing more than coming up with new ideas in his home. There is a lot of detail in this book about the types of things Lev was working with and creating. The sound of the theremin is simply pure electric current. It is the hymn of lightning as it hides in its cloud. The song never strains or falters; it persists, stays, keeps, lasts, lingers. It will never abandon you. In that regard, it is better than any of us. 8. If you love history, then you will like this book. History is infused throughout the entire story; Russian history, American history, musical history, scientific history, social history, political history. 9. For the romantics, there is also a love story. Although, Lev ends up marrying three times in his life, it is never to his true love, Clara Reisenberg. Clara marries Robert Rockmore, and goes on to become a renowned thereminist. The woman Lev marries while in America is Lavinia Williams, an African-American dancer. This is the one character in the book that I wish there had been more about. Luckily, Wikipedia has set my mind at ease that she was able to move on with her life. Lev’s love for Clara permeates the whole book. It is to her that he writes and tells his story of heartache, betrayal, hardship, and longing. It is because of his love for her that we get to be in on his private thoughts and the story of his life. It is her memory that helps him to get through the dark days of imprisonment and forced labour. It is difficult to anticipate what will be our worst thing. Our worst things are not all the same. Hunger, thirst, fatigue. Or fear. I used to think that heartbreak was my worst thing. It is not. In a certain way, heartbreak is a reassurance. There is no reassurance in hunger, in thirst, in fatigue. Or in fear. These things are hollow things, un-things. I have learned that there are certain absences you can keep and hold; and other absences, like lost memories, which you cannot. I have to confess that I had no idea what a theremin was before I read this book. If you are in the same boat, here is a link to Lev Termen playing his own instrument. Here is Clara Rockmore playing it. I just finished this book. I loved it and it has brought me out of my reading funk. I was fascinated by all of it. I already knew what a theramin was, but all the other stuff he invented was a surprise for me. Great read! Oh, good! I’m glad you’re out of you’re reading funk! And, I hope it continues with Girl Runner. I loved reading about all his inventions- I had no idea he was behind all that stuff. The science-y part of the book was way up there for me. I’ve seen this popping up on a few Canadian blogs and it sounds great! I didn’t realize it was published in the US last year by Tin House, so I’m going to try to round up a copy. Good to hear! I hope you like it! I had never heard of the theremin before reading the summary of this book. It’s a strange thing, isn’t it? I found the cover of the book a little off-putting, but I am glad that I looked further into the book, and with all the positive reviews, I definitely plan to read it at some point. I was the same way when I first heard of/saw this book. The title especially put me off. It didn’t mean anything to me at the time. But, I am glad that I listened to some of my favourite book bloggers and read it anyway! Oh, I’ve always been fascinated by theremins and wished I could have one! I hate to talk about man books, because I think men can read any book they want, but I will anyway; I think Us Conductors would be a great choice as a gift for man. I know my Dad would like it. I think even my husband would. I say go for it! What a great review! I have no idea what a theremin is either, and would not have thought it had anything to do with music 😉 I do love reading about Russia and science so I will definitely look this one up. The word ‘theremin’ doesn’t even sound very musical, does it? I loved the science-y stuff, and I loved reading about his time as a prisoner in Russia. The nice thing about this book is that it has a lot going for it that would appeal to many people. Because of the content of All My Puny Sorrows, it is not for everyone, although I loved it myself. Happy Reading! am rpesently reading US CONDUCTORS and have a few comments. It is a wonder to me how this book won the Giller but i am trying to keep an open mind. In the meantime, whoc oud love ther therimin… this is beyond me. I’m not so sure what I think of the theremin, either, but I guess it’s a matter of taste, like all instruments. As for winning the Giller, I can’t really judge since I haven’t read any of the other books on the list this year. I have Tell on hold at the library, but that’s it. I’ll be interested in hearing what you think once you’re done!